As we exited the local resale shop, my hands were full with packages and my preschool age daughter was near my side. There were several cars in the parking lot so I routinely instructed her. “Stay by mama. Let me help you get in the car.” But she didn’t listen. She playfully dashed ahead, completely unaware that the car next to mine was pulling out. Immediately I yelled out, “Wait! Stop!” Sadly, she kept going. I dropped my bags and rushed out to grab her by the arm. Miraculously, the moving car missed hitting her by an inch. It has been several years since the day my daughter was almost hit in the parking lot. But I can still relive the entire scene without hesitation. In fact, I have had several dreams at night reliving that day. Although it scared me deeply that she was so close to being severely hurt, what concerned me more is that it almost happened because she didn’t listen to me. Why didn’t my child respond when I spoke? Our children, little ones to teenagers, must learn the art of listening to us but even more so, we must learn the art of speaking to them. Over time, I have learned more about how to effectively communicate to my children. Here are my top three ways to speak so your children will listen. 1. With Earned Respect. Essentially, your position as a parent automatically places you in authority. However, your leadership in their lives is backed up by how much they respect you. Do your children respect you? When you speak, do they take note or blow you off? Do your words carry weight? Obviously, for me on that day with that child, mine did not. My child did not respect me, take note, or think my words carried weight. She did not hear me and respond accordingly. Yes, she needed to learn to listen but had I led her in such a way that my voice alone would cause her to inwardly respect what I said whether she wanted to or not. The child will learn to honor your authority and place of honor at home before the crisis. Teach them on the front end before you are out and about. Talk to them about your love for them and that you will only ask of them what is best for them. Talk to them about how God placed you as the parent so you can lead them. They absolutely must trust you and trust that you are accountable to God. Once a child knows you aren’t controlling or frivolous, they will have the correct perspective to respect you no matter what you ask of them. In the event that they hear you but don’t honor what you asked of them, there should be loving yet firm consequences. This will help them learn you say what you mean and you mean what you say. You will not have to be an overbearing dictator that demands respect. Respect is earned as you teach them why you do what you do. 2. With Appropriate Timing. Most all of us are familiar with being lectured for long periods of time from a parent, teacher, or coach. Interestingly, for me, the longer the person went, the less I would listen. At some point, it was just too long to stay focused or to process my emotions. When you talk to your children, consider how long you are going. Even the scriptures tell us in Proverbs 10:19 "When words are many, sin is not absent. But he who holds his tongue is wise." Take some time to listen to your child first and ask that they listen to you. And then, keep it to the point. Additionally, think through the timing of when you talk. Did they just wake up? Is it in front of their friends? Are they already stressed over something else? Are they hungry? Just this week I watched another daughter of mine make poor choices in her class with our school group. Everything in me wanted to address it in the moment but because she is not a small child, I waited. After school ended and she was home settled after a snack, we talked. It went well because it was the right timing. She listened and she learned. 3. With the Correct Tone. There are some moms that talk to their children as if they are children themselves. They speak with relaxed, breathy, hesitant tones as if they are pleading with the children in hopes they will obey. And if they don’t, the mom shakes her head and explains to those around her, “Boys will be boys!” or “She is just so independent!” All the while it was the mother who not only lacked authority but also the correct tone in which she spoke to them. It's no wonder the children don’t listen, she is communicating in weakness. Then there are the military mothers. These moms bark orders all day long. Their tone is firm and loud. They said it and they mean it or else! 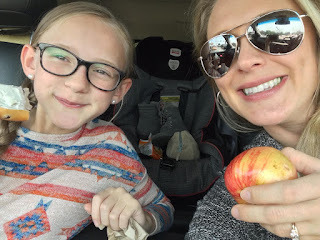 Everything from loading up in the car to answering a math question to picking up their clothes is communicated in a drill sergeant voice (or at the very least a one-angry-mama style). These moms do have obedient children but they also have stressed children that may inwardly be rebelling or are left feeling defeated. The mother’s tone undermines the more serious times that a child needs to listen because she is always “on their case” or “worked up” so they learn to tune her out. How you communicate in your tone to your children speaks volumes. Kindness and gentleness can be heard in the tone as you are respected with full authority. There is a balance much like what we know from how Jesus spoke. He was calm but heard. He spoke and they listened. Jesus wasn’t apologetic or weak and He was angered in only the most extreme moments. Speak like Jesus would speak. They will listen. Additionally, when your tone is steady the children will know if it changes and will respond accordingly. Specifically, if you are sad or hurt over their choices, your tone can reflect it. If you are louder and firm because of a major disobedience, they will take note. As our children learn the skills of listening, we can learn the skill of speaking. I will never forget that day in the parking lot when my little one was an inch away from injury, and I will never forget the importance of leading my children in how I speak. When we speak from a place of respected leadership, control the length of our talk said at the right time, and when our speech is verbalized with the correct tone, we are leading our children in such a way that they will listen. High measures Karachi Escorts Models Offer critical Service with bunches of Girlfriends Feelings We Provide most smoking females Vip Celebrities and Young dazzling Models Escorts in Pakistan at sensible Rate they are know how to make night full Memorable for Amazing fun and awesome encounters Call Us Our Service is accessible all day and all night.